I was sitting in my office room trying to get something written. 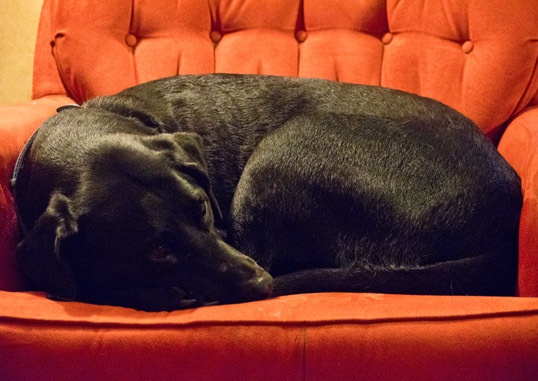 My son Nick’s dog came in and settled into his favorite red chair. 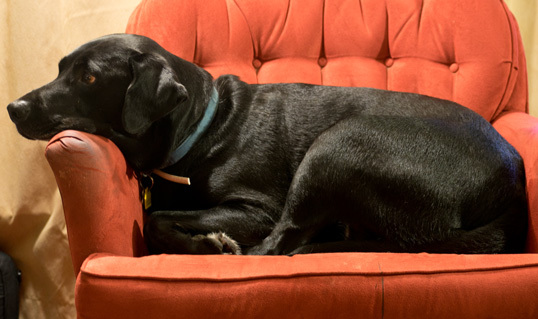 I put my camera onto its tripod and took some shots of the dog as he moved around in the chair. I don’t have a lot of experience with this sort of posed photography – don’t have the kind of lights that I need – most of all, I have a lot to learn. 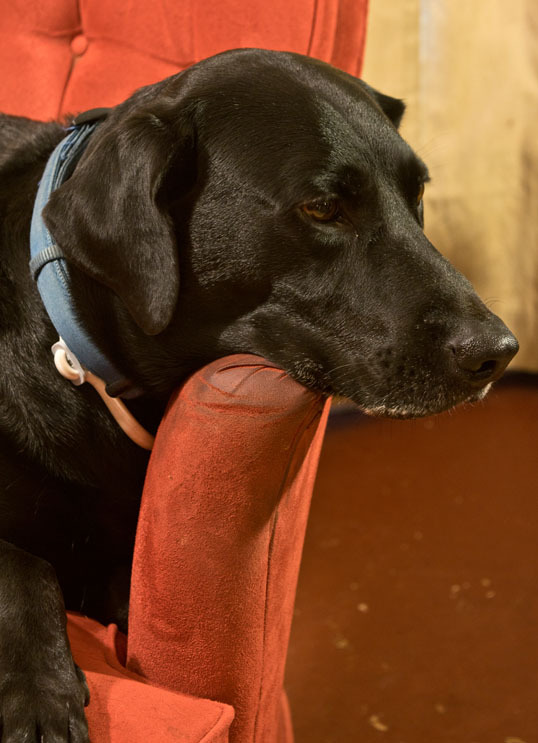 This entry was posted in Photography and tagged black lab, Dog, lab, Labrador retriever, portrait. Bookmark the permalink. 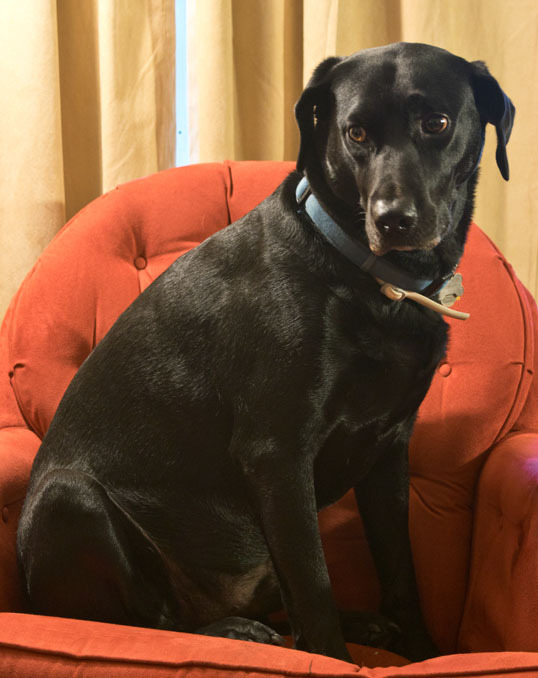 I think Champ is thinking..’back off my chair’….my dog Dudley has the same look. I don’t think he even thinks someone could move him. He likes it there because he can look out the window. I love dogs too, that’s why I blog about my crazy Labrador. And he’s always always thinking about food. Or how to get it…..